ARBOR WOODS - Luxury Vacation Rental Homes in Glen Arbor, Michigan in the hear of the Sleeping Bear Dunes National Lakeshore. June 8 - 15 and 15 - 22 available at reduced rates. most summer weeks are still available for 2019. See below for more information. NOTE: The calendar is not always up to date. Please inquire for accurate openings. Openings are listed below, but please see calendar and e-mail or phone for exact openings and rates. Holiday's will be higher. Please inquire for rates. Please inquire for most accurate dates and rates. New in summer 2019, "Arbor Pines", Located right next door to Arbor Woods Egeler on West Egeler in-town Glen Arbor. The home is owned and operated by our son and daughter-in-law, Andy and Stephanie. Contact Andy at: (248) 640-0569,(text is likely best), or email: andrewballou@gmail.com. 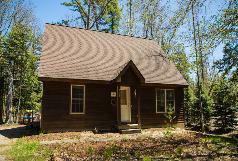 Please check the Glen Lake Chamber of Commerce website and also www.glenarborcottages.com for other nearby homes for rent. NOTE: Our website and calendar is not always accurate. The rates shown by the website are occasionally a bit higher than actual rates. Please e-mail or phone for the most accurate dates available and rates. Generally a 3 nights or $685.00 minimum for weekends in late-September, October and early-May. Summer Weeks; late-June through late-August $2,275.00 per week. Reduced rates for other weeks including May, June, September and October as well as fall, winter and spring. There is a 3 night minimum for weekends in May, September and October, and also holiday breaks and weekends, such as President's Day weekend, Christmas break, etc. 3 nights or $685.00 minimum for weekends in September, October and May. Holiday's are higher with 3-day minimums. (Including President's Day weekend). Rates and minimum stays may be less for a single or a couple, young family or for late bookings. Ask about our children discount. Please e-mail or call for more information and the most up-to-date dates and rates. Approximately 1/2 mile to the Lake Michigan beach via Lake Street, or 3/4 mile via Bay Lane, and of course throughout the national park. 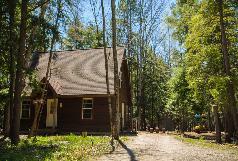 Located in lovely private, wooded settings, and yet right in-town. Fully equipped kitchens including dishwasher, washer, dryer, smart-DVD with Netflix and other "apps", (no cable or over-the-air television), WiFi, as well as both gas and charcoal grills. Adult bikes and kayaks are at the homes and available for your use during your stay. Non-smoking only. Linens, bath towels, bath mat are not provided. Pillows, mattress pads and blankets are all provided. The homes rent weekly only in "summer", (generally late-May, June, July, August through late-September). In fall and winter the homes are available for both weeks and weekends. Strictly non-smoking. No pets please. © 2019 ARBOR WOODS - Luxury Vacation Rental in Leelanau County Michigan. All Rights Reserved.